In most cases this is because the album is a compilation. The Olive ONE does support the correct display of compilations, but right now all the tracks have to be in the same album folder (when you copy it to the MY OLIVE MUSIC folder) to show up as one album only. This means they cannot be in separate sub-folders. If the tracks are all in the same album folder we will only display one album name (in the column view) and one album cover artwork (in the album cover view). In the ALBUM COVER view please make sure you have selected the ALBUM icon on the right side. If you have selected ARTIST the compilations will show up several times as the ONE will show all albums for each artist. My Unit came with a harddisk with some songs pre-installed. They are shown several times as well. These pre-installed songs are not in the MY OLIVE MUSIC folder. Even in the same file folder, I still see duplicate albums with my FLACs. 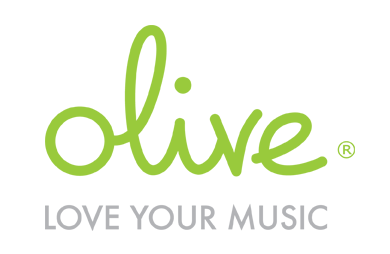 Does the Olive use "Album Artist" tag (as opposed to just Track Artist)? I found even in one folder , I still had albums separated.Due to syncing to portables I had some box sets with mixed formats like flac and mp3. I edit my box set into ONE SINGLE ALBUM, no need to have 4 "discs" in digital domain [due to size constraints]. The ONE splits my single folder into 2 [one flac and the other mp3] . I can not even edit it out as it reads the entire file as the song title. Hello James, please submit a Zendesk ticket and we will look into this. Thanks! I have also this issue that several (flacc) albums (not compilation) are split into different albums with the same cover. This also happens with multiple disc albums even if the discnumber and disctotal tag has been set.